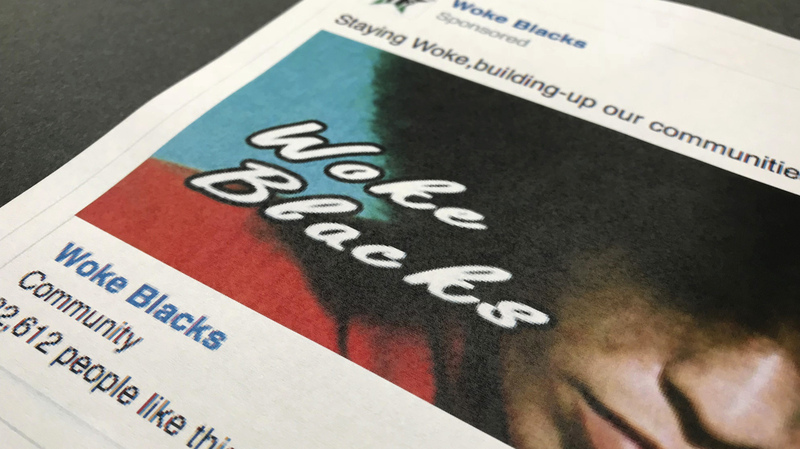 Mueller Indictment Of Russian Operatives Details Playbook Of Information Warfare There were Facebook groups and events inciting both left and right; fake identities to pay real people involved with rallies; and stolen U.S. identities used to facilitate payments for digital ads. 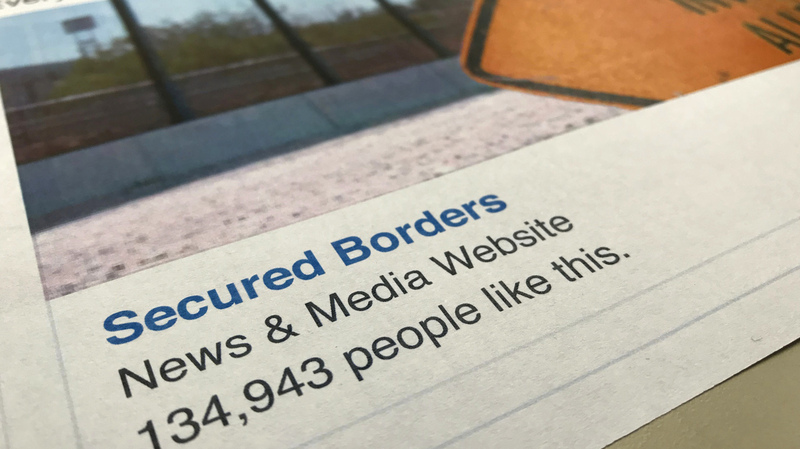 A Facebook posting, released by the House intelligence committee, for a group called "Secured Borders" is photographed in Washington, D.C., on Friday, Feb. 16, 2018. Can The U.S. Combat Election Interference If Some Don't Believe It's Happening?